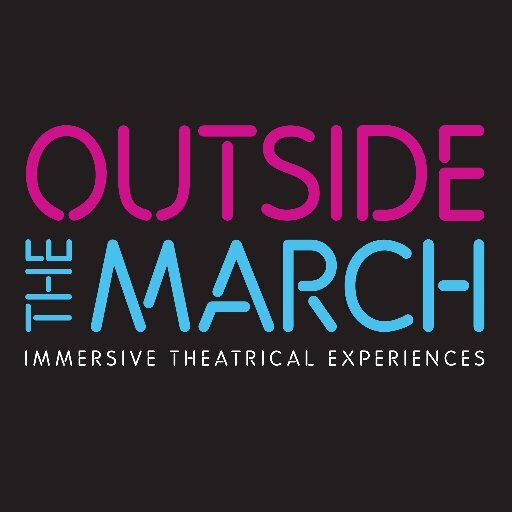 Outside the March has been making theatre an Experience since 2009. Founded by Co-Artistic Directors Mitchell Cushman and Simon Bloom, along with core Associate Artists Amy Keating, Sébastien Heins, and Katherine Cullen, they are an immersive, site-specific company who currently produce work in Toronto, Ontario. Outside the March has been a proud Company in Residency at GENERATOR. Outside the March is on all major social media, so be sure to follow them on Facebook, Twitter, Instagram, and YouTube. Check out their website to hear about their upcoming production of Jerusalem by Jez Butterworth. Immersive: We offer full theatrical experiences—personal and immediate encounters that endure. Site-Engaging: We transform found spaces into playgrounds of performance, as well as unearthing new possibilities within traditional theatres. New: We introduce local and international voices to our audiences—compelling stories that grapple with our here and now. Wide-Reaching: We are looking to captivate a wide range of individuals, especially audiences who might not normally find themselves in the theatre. Communal: We forge resonant collaborations between artists of all levels of experience and across disciplines, as well as meaningful partnerships within our community. Since 2010, Outside the March has produced 11 full-length productions and is currently working on their latest piece. In July 2017, Lessons in Temperament went with Soulpepper to New York City for Soulpepper on 42nd Street. Returning in 2018, Outside the March and Company Theatre, in association with Starvox Entertainment, bring a new production of Jerusalem by Jez Butterworth, which will feature Kim Coates, star of FX's Sons of Anarchy. Vitals was the recipient of the 2014 Dora Mavor Moore Award for Outstanding Production, Outstanding New Play, and was nominated for Outstanding Direction (Mitchell Cushman), Outstanding Performance - Female (Katherine Cullen), and Outstanding Scenic Design (Anahita Dehbonehie) in the Independent Theatre Division. Passion Play was the recipient of the 2014 Dora Mavor Moore Award for Outstanding Performance - Ensemble, and was nominated for Outstanding Costume Design (Michelle Bailey) in the Independent Theatre Division. Mr. Marmalade was the recipient of the 2013 Dora Mavor Moore Award for Outstanding Production in the Independent Theatre Division. This page was last modified on 22 November 2017, at 11:34.